I’m sure that by this time, the news that Thor is now a female has already reached everyone’s ears, or eyes. It seems to be part of Marvel’s plan to diversify the latest batch of Avengers for a wider audience. Captain America is now black, Spider-Man is Hispanic, Miss Marvel is a Muslim, and Iron Man is still Tony Stark because there is no way Marvel’s going to replace that cash cow. So with all those radical changes, why not Thor as a female, right? Who is this new Thor that’s parading around? Is she an impostor? She has to be using a fake Mjolnir right, since only someone worthy can wield the fabled hammer? Apparently the original Thor, or Odinson, as he’s now called, has become unworthy and has lost control of Mjolnir. Rest assured that the Odinson is still among the living and is wielding a different weapon in the meantime. The next question is, how did he become unworthy of Mjolnir? 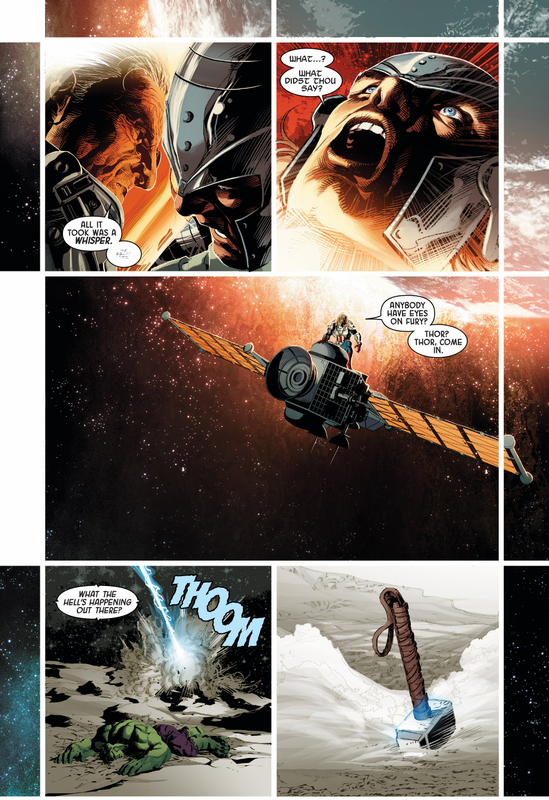 The quick story without spoiling it for everyone is during the Original Sin event, Nick Fury was battling the entire Avengers team in space. The cunning spy and former head of SHIELD held his own against the group of super-powered individuals by taking them down one by one with secrets he’s accumulated over the years. 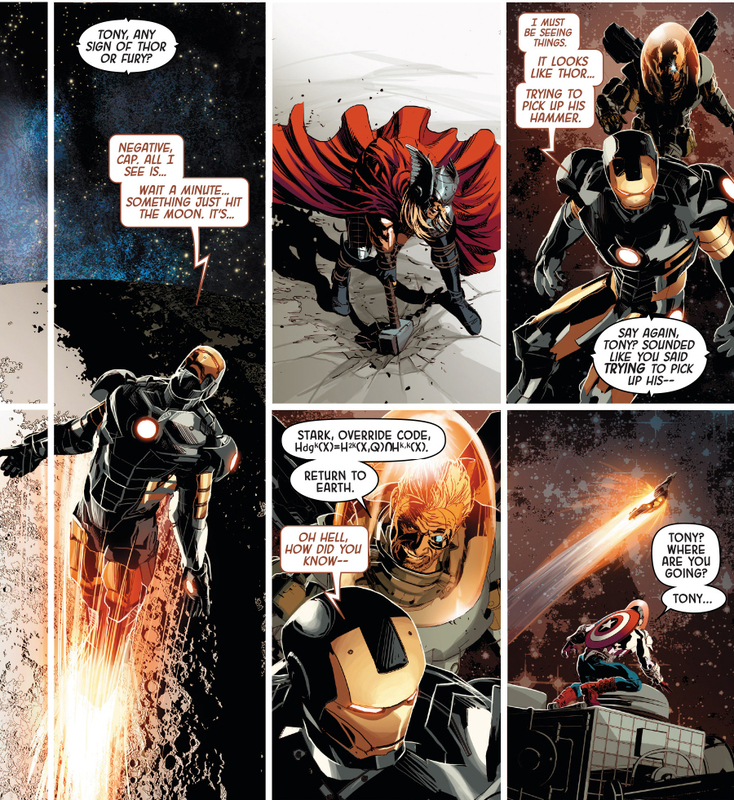 Like with Iron Man, he sent Tony Stark back to Earth by taking control of his armor through a secret override code. With Thor, he merely whispered something in his ear that greatly shocked the God of Thunder. Next thing you know, he’s stuck on the moon trying to lift Mjolnir in vain. Once the battle ended, all of the heroes went back home to Earth save for the Odinson. He spent weeks without food or drink while keeping a silent vigil over Mjolnir, praying for the chance to lift it once more. It gained the attention of the other Asgardians, including the great Odin himself, who for some reason was unable to lift the hammer as well. It was only an attack by Malekith the Accursed on Earth that forced the Odinson to leave the moon and Mjolnir on it. He chose to once again wield his original weapon before Mjolnir, the dwarven-battle axe Jarnbjorn. While everyone thought Mjolnir was forever stuck on the moon, the female Thor suddenly appeared in the super hero scene with Mjolnir in tow. 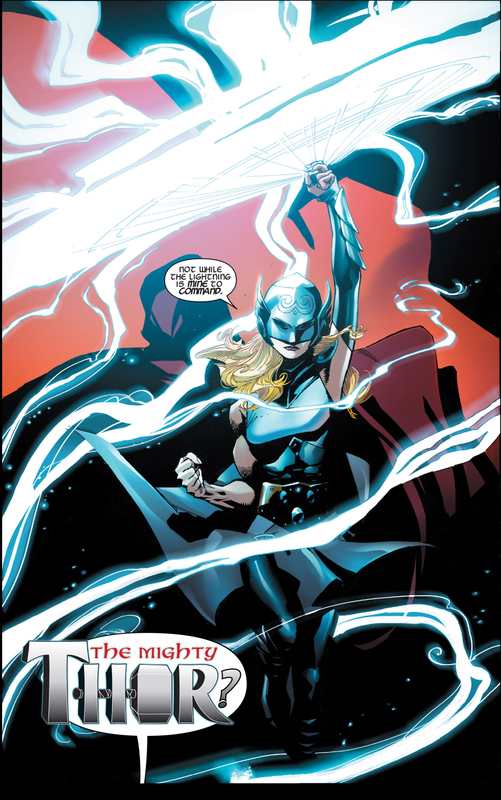 It’s then revealed that Jane Foster, Thor’s former love interest, has been deemed worthy by Mjolnir and has been transformed into the new Thor, gaining powers and abilities. Odinson, who’s unaware of the new Thor’s real identity, would demand the hammer back but later give his blessing to the new God of Thunder.